Yuval Levin pointed out in the book “Tyranny of Reason”, a religious limitation to objective scientific study by, IIRC, Aquinas that stipulated that observation and reason ought to be paramount provided that such evidence is not construed to contradict devine truth, in which case it is the evidence, or more specifically the interpretation of the obvious truth, which must be eschewed because it contradicts the pre-determined truth and accuracy of a reality which is presumed to be true based upon an unwavering religious revelation of adherence. While such a sentiment could, and has, been often used to belittle any scientist with a shred of religious sentiment—and even those who don’t seek recourse to religious scripture but are simply deferential to the accumulated knowledge of the ages—such sentiment is now considered sacrosanct when it facilitates the view of the the post-Modernist Left who revel in (pseudo-)relativist eschatons of feelz. 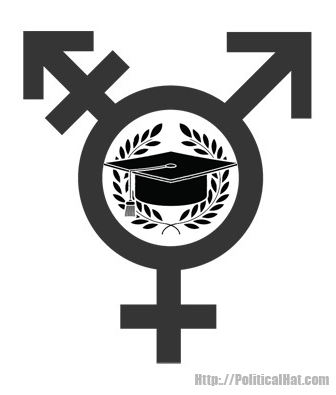 Such is a case with a condemned research article that noted that many adolescents who declared themselves to be “transgender” did so after exposure to social media that extolled such “transgender” mentality or moreover to the presence of peers who demonstrated their institutional wokeness by coming out as “transgender” and being praised by the institutionally privileged and institutionally empowered. And just who condemned such thoughtcrime? The university, Brown University, where the author currently works. Rather than support their own faculty, the university decided to condemn any mention of such heresy not based on any reasoned objection, but based on how a study could “invalidate the perspectives of members of the transgender community“. Academic research does not serve to validate or further the “perspectives” of any community or any individual. Academic research does not exist to validate or invalidate some doctinal “perspective” in any way, shape, or form. This is just an example of how “trans”, and indeed all Leftist ideology, is nothing more than a litany of articles of faith, and published support nothing but catechisms of a secular faith. When presented with evidence that contradicts such Aquinas levels of doctrinal faith and supremacy, it is the facts which are declared to be invalid according to a faith-based set of doctrinal values, with such proponents declared heretics forthwith lest anyone who might be associated with such heresy not proclaim their purity of absolute and total faith! This entry was posted in Education, Progressives, Science and tagged DOOM, Gender, Higher Ed, Leviathan, Science, Social Justice. Bookmark the permalink.